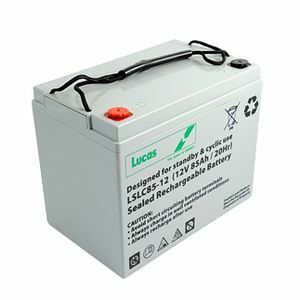 The battery was exactly what I ordered, competitively priced, was well packed and delivered the next day (and within the advised time on the day). Great product great service I have used this company many times and will do so in th future more than pleased ? Great product, great service, will use again. Thank you. Only used 5 rounds of golf but so far is well up to expectations. Was delivered on time and extremely well packed. Excellent service Batteries installed in my Grass hopper Junior and are performing well. Will hope that they will continue to do so. Have not received any guarantee as to life! Star rating given on assumption that minimum life is at least 2years!! Next day delivery great product. Facility from order to delivery was excellent. Batteries so far OK. Excellent service, and good value product. Fitted these to my sister's Pride Jazzy 1120 power-chair, which they fit perfectly. Time will tell how well they last, but they should be a cut above the cheap Chinese equivalent they replaced. I wouldn't fit these for someone who was an all day or very regular wheelchair user, for that I'd probably get MK gel but they're ideal for my sister's irregular and occasional use. Having just bought this item it is hard to judge how good it is. Only time will tell. Ask me in a years time. An excellent product fitting perfectly to replace my original camping car leisure battery in a limited space, sealed for security and safety. Arrived next day delivery- superb service. as I have just had only two rounds of golf with these battiers I am satisfied with them so far.